well, just a quick comment. many people will disagree, but i do believe that team orders have a definite place in formula one, and they should. after all, there are teams! and they pay the bills! so they should get to decide what should happen in a race, whenever they can. team order yes - but you gotta know how to use it, as did red bull. that’s the second point: teams should be smart enough to make the best decisions for business. and truth be said, that will always be the best decision for the fans. if the fans watch and love the sport, the teams will get their money – it’s that simple. absurd usages of the team order (schumacher x barichello) are bad for the sport, the alonso x massa affair this year is tolarable (not for brazilian fans, though), and if vettel had helped webber, that would have been approved by most. red bull was the smartest this year, letting their drivers fight it out until the bitter end. it was risky, but even if alonso had gone to win the title, red bull would have been the moral winners all over the globe – in terms of adverstising, that matters quite a lot. but once again, team orders should be part of formula 1, and teams should try to be clever about using them correctly. sebastian vettel – too reckless for truimph? ayrton senna was a phenomenon. even winning most of his races and all of his titles after double-champion emerson fittipaldi and triple-champion nelson piquet, the brazilian was able to become the biggest star not only of the sport in his native country, but maybe the biggest star ever, alongside the king of football, pele. but after him, it’s been tough for any other landsman to really shine. barichello and massa both got to drive ferraris for quite a while, but they were both beaten by superior adversaries (schumacher and currently alonso); massa only really had a shot for the title in 2008, when raikkonen was his team mate. but it was not to be. and the zontas, pizzonias, di grassis & such will probably never even get close to winning races. basically, it’s tough to be brazilian f1 driver, with senna’s shadow overcasting all. seb vettel, here as a 17-year old test driver for bmw. what does this have to do with sebastian vettel, who has a small chance of clinching his first f1 drivers title on sunday? well, he also has a fellow countryman who has quite a few successes under his belt. michael schumacher dominated formula one for years, in unseen proportions. he had more than twice of senna’s world championships, and more than twice of his grand prix wins. how could anyone even get close to his success our popularity, in the future? vettel is far away from schumacher’s success, although he would be taking a first step towards a shiny career if we were to become the youngest f1 champ ever, this weekend. but schumacher was never as popular as senna, and vettel is today probably more popular in germany than schumacher ever was. 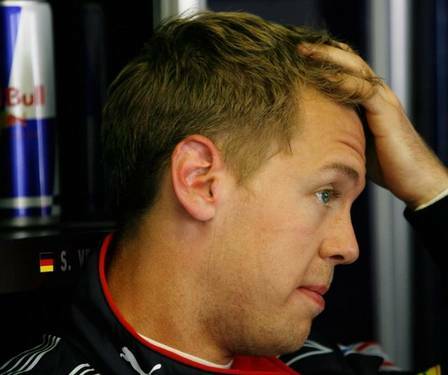 it’s important to limit it to germany, since vettel doesn’t seem to enjoy too much sympathy outside of german borders. it’s not dislike or hate, the way schumacher at times experienced it (although that was also rare), it’s more of a “he’s too young and too wild”. not that f1 specialists and the public don’t like those adjectives, they just have given them away to f1’s current favorite driver, the brit lewis hamilton. and there is a parallel to be drawn between vettel and hamilton, as they do have a lot of the same personal and professional characteristics. both had great success in the business right from the beginning, both are always eager to attack and pass, both sometimes lose balance and make mistakes, and in both cases, it has costed one or the other championship title. 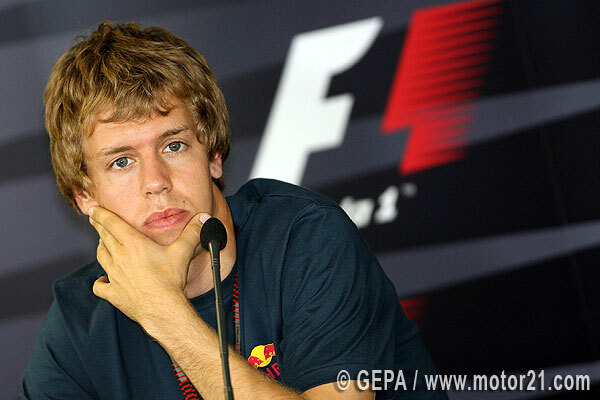 and the question is justifiable: did vettel through away the drivers championship in 2010? 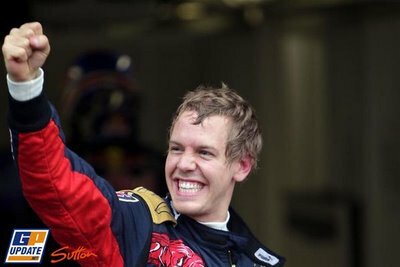 vettel was a test driver at bmw in a very young age, and when he starting testing in the friday free sessions, posting best lap times, he caught everyone’s attention. the austrians from red bull saw the talent and the market (germany’s sport and f1 market is probably the biggest in he world) and hired him in the middle of the season, to driver in the ex-minardi team toro rosso – still italian, but already red bull. funny that all three championship contenders started their career at the italian team. vettel became a rising star almost instantely, with good performances in qualifying and race. the second half of the 2008 gave him a particular boost, as he was able to constantly finish in the top 5 with what was considered the eight or ninth best car in the field (=16th places would be in order). 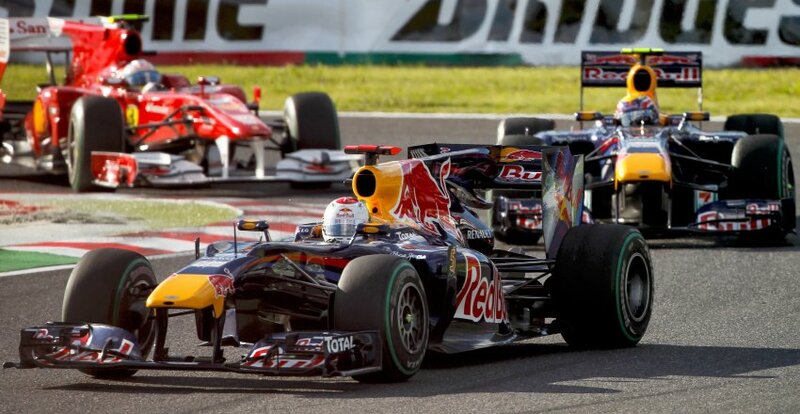 vettel won monza in a toro rosso, an amazing feat by any standards. and even in the big finale in interlagos, when massa failed to take the title out of hamilton’s hands, it was vettel who almost decided the championship in favor of the brazilian, passing hamilton in the rain of the last few laps. people commented on a possible duo of young, talented drivers for mclaren, but vettel stayed at red bull and moved up to the main team. a mistake, many people remarked, since the toro rosso seemed faster than the red bull, at the time. but right at the beginning of the season, it was clear that vettel would be fighting for the title. his car was an instant success, leaving only the new team (brawn gp) in front, because of a technical advantage. thanks to button’s incredible consistency in that first half of the season and one or the other reckless mistake by vettel, the championship seemed decided early in button’s favor, but red bull had positioned themselves in front of mclaren and ferrari – and vettel in front of webber. it was one of the rare occasions when the world champion was not voted driver of the year. this year, vettel has made a couple of mistakes. but most of all, he’s had an incredible share of bad luck. it started in the first race of the year, when a certain victory was taken away from him by malfunction in the gear box. he lost three gears, but still was able to finish the race in 4th position, quite an impressive performance. alonso won that race (do the math in your head). in the second race, once again leading, vettel’s car lost torque (a clear team error) and he had to abandon the GP – instead of 50 points, he had 12. he won in malaysia, even after losing to team mate mark webber in qualifying (vettel’s first non-pole of the year). one can clearly state that if it weren’t to reliability problems in his car, vettel would’ve started the season with three wins. 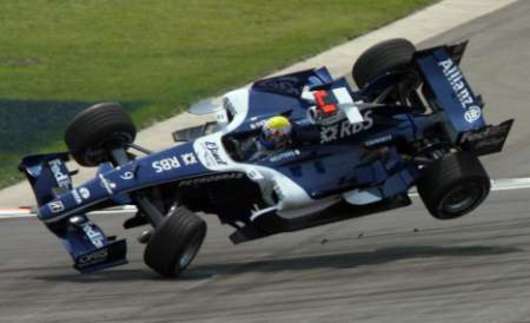 but even with the mishaps, he was only two points short of championship leader felipe massa. in china, vettel qualifyed on pole again, but ever-changing weather conditions and one mistake during the race dropped him down the field, to 11th position; he eventually finished the race in 6th, a good result considering the circumstances. in spain, for the first time in the year and in his career, vettel was completely dominated by his team mate mark webber, who managed pole and a 100% race lead to the checkered flag. to top it, red bull made a mistake in the german’s pit stop, costing him second place in the race. our tally of points lost by team mistakes (and not driver mistakes) is now up to 41 points. monaco started to worry vettel’s fans and himself, since once again it was webber who claimed pole and victory in this tradicional race. was the status quo changing and webber putting himself into championship contention? vettel showed better pace than webber during the race, which he finished second, but now both of them had taken the lead in the championship, with 78 points each, three ahead of fernando alonso. in midst of this doubt about who was trully red bull’s number one driver, the turkish grand prix arrived, seventh race of the season. 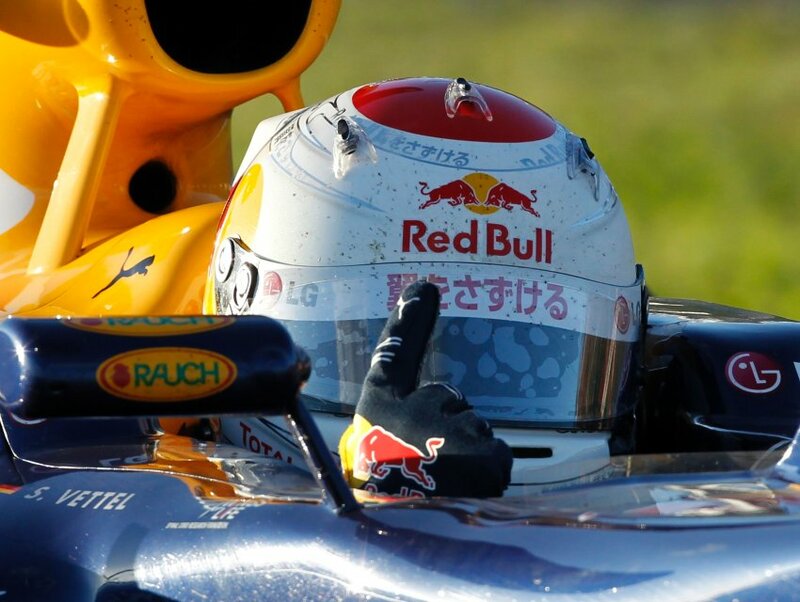 another win for vettel, here in suzuka a few weeks ago. here is my take on that race: webber once again beat vettel for pole, and this was the third time in a row. the duo led the championship, and the afternoon’s winner would be sole leader. webber continued to push forward during the race, and vettel managed to get past hamilton. at a certain point, webber, vettel, hamilton and button were all in one “train”, which in f1 usually means that the first car is the slowest. and, in fact, vettel’s pace was better than webber. and he was being pressured by hamilton. so an overtaking manouver was necessary for him, and the team gave its okay, without announcing it to mark webber. it was still pretty clear, though, that webber should let his team mate pass in case of an attack, since he clearly was not up to the pace (read the article https://figobay.wordpress.com/2010/11/08/in-defense-of-red-bull-racing-and-ferrari/ for my stand on team order). vettel did see an opportunity and actually was ahead of his team mate at the end of a straight, but webber did not leave enough space and the two collided as vettel prepared to take the next curve. that would’ve been 25 points and the lead in the championship, but instead it was 0 points, down to 5th place in the standings – and a lot of angriness. i’ll stop counting now, but this is 66 points already. no matter what other bad luck other drivers out there had, vettel should be the championship leader at any point, and he isn’t. it’s true that he did make a couple of mistakes after the turkish grand prix, one of them in an attempt to pass jenson button at spa francorchamps, but even with those episodes, he would confortably lead the championship before the korean grand prix. he's had a lot of bad luck this season... time for some luck? incredibly, though, he went on to dominate that race in the rain, while his team mate webber made a mistake and striked out. finally, for the first time in the season, the championship lead was in his hands – when his motor blew up. today, tomorrow and on thursday i will publish posts taking a closer look at each one of the three championship contenders (lewis hamilton will be ignored in this one). 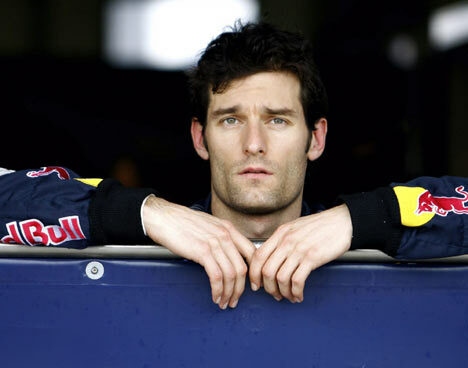 and i’ll start today with the aussie mark webber. in most polls all around the web, if asked who people favor for the title this year (and not who you think will actually get the gold), mark webber comes out victorious. and this has quite a few reasons, the most popular are these: he is the underdog, it’s probably his last chance to fight for the title (since he’s the oldest), he’s the most handsome, he’s the nicest. in general, people love it when specialists are wrong, and they have never really regarded mark webber as someone deserving of the formula one driver’s championship. and it seems pretty likely that mark can do the trick. but before we look at the irony of life, let’s look back to his career. when mark was 20 years old, he finally moved to england to persue his dream of a f1 cockpit. over 13 years ago, he started his first formula 3 championship, but even with some good results there, in formula 3000, in fia gt and even le mans, it took him another five years to land a job in formula one – and at the smallest team on the grid, minardi. his career had really started when he earned a job test driving benetton for 2001, and became a personal client of his then teamchef, flavio briatore. flavio arranged a seat at the also italian minardi (replacing also briatore-client alonso, who replaced webber as a test driver for benetton) and webber had his first race at home, in the australian gp 2002. he actually finished in the points in that race, the only points the team would pick up in the entire year; still, mark webber was voted rookie of the year for that feat and for being faster than his team mate yoong in every single qualifying and race. in that vote, he beat the other rookies including felipe massa and takuma sato. this earned him a seat at jaguar, then the seventh best team on the grid. mark webber proved himself in that he once again gave his team mate not a bit of a chance; when the brazilian antonio pizzonia, who had tested for then giants williams the previous season, was fired, mark webber had scored incredible 13 points, against zero from his team mate. at the end, jaguar ended up in seventh place in the cosntructor’s, but webber was tenth, carrying 17 of the 18 team points. although he was now a sought after driver, his age was never an advantage, since he was already 27 at the beginning of the 2004 championship, another season for jaguar. his new team mate was the austrian christian klien, who just recently came back to f1 in the hrt team. mark webber had eight top ten finishes that season (against 4 by klien) and scored 7 points, out of ten for the team. 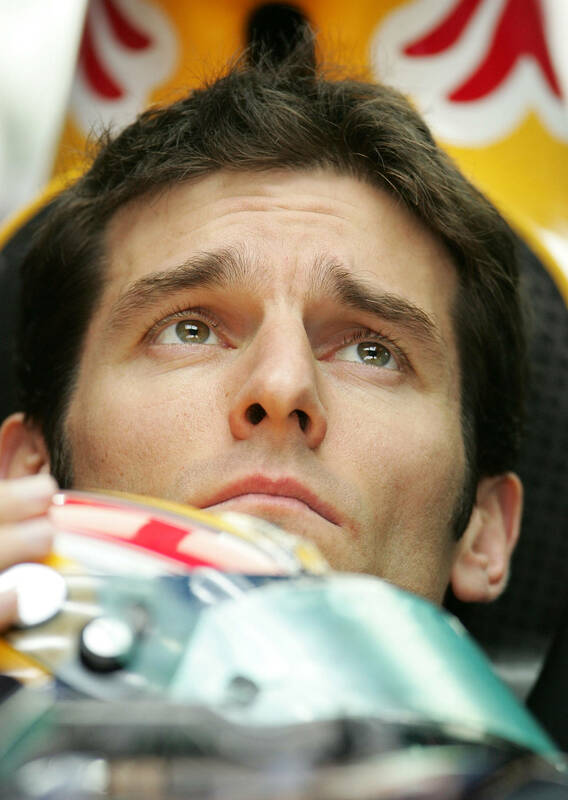 jaguar, still seventh best constructor, wasn’t progressing, and mark webber knew that this would be his chance to fight for podiums or even the championship – if he could only get a new job for 2005! he’d proven himself in three pretty good season, taking easily care of his competition within the team. and he wasn’t getting any younger. and he did get a pretty good job. williams f1 wasn’t at the top any more, but it was still the fourth best car in the grid, destined to always be in the points. 2004 found them finishing on the podium only four times, though, but with one victory in the last race, by juan pablo montoya. it was a bad year for williams, who had slipped from ferrari-chasers number one to fourth, and they wanted to come back. montoya and ralf schumacher left the team powered by bmw, and nick heidfeld joined mark webber for a brand new season and attempt to get back to the top. it wasn’t good season for williams, and it was even worse for mark webber. for the first time in his career, his team mate was getting better results than him: the german nick heidfeld had three podium finishes in the first seven races, two of them as the race’s runner-up. webber managed a third place, his first podium, in monaco – but heidfeld finished second there. 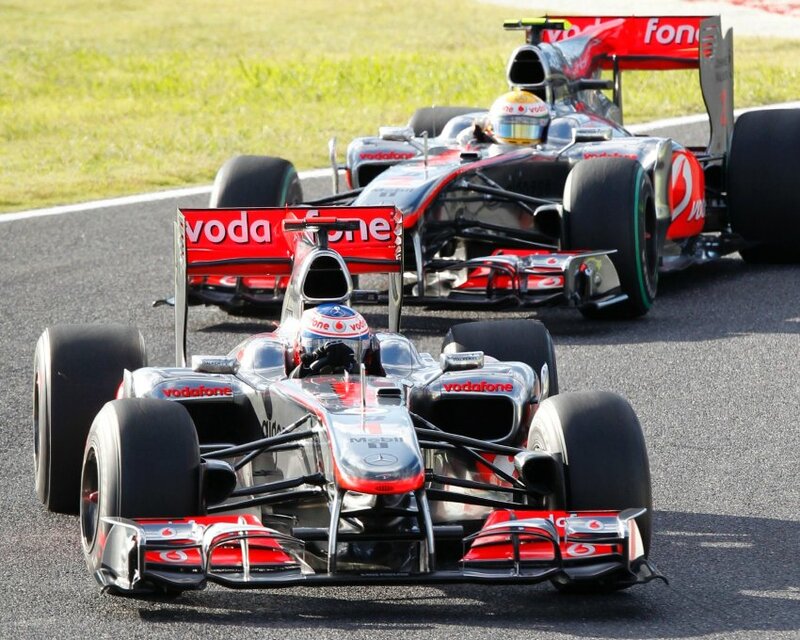 after the turkish grand prix, heidfeld had scored 28 points, 4 more than webber. then he suffered two different accidents and had to sit out the remainder of the season; antonio pizzonia, webber’s former team mate, replaced the german for the remainder of the season. and it was the same as two year earlier – pizzonia scored two points, webber 12. still, williams had slipped behind toyota and mclaren and were now only the fifth best car in the grid. 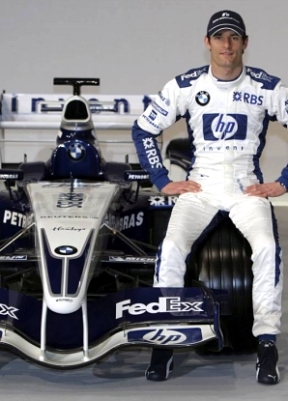 bmw left the team for the 2006 season; mark would be 30, and williams didn’t seem to improve. a new and young driver replaced heidfeld, and it was another german: nico rosberg, today maybe one of the most valued drivers in formula one. as a rookie, rosberg didn’t have the same results as webber. everytime they both finished a race, webber ended up in front of his young team mate, but he retired a massive 11 times and only scored 7 points in this, the most disappointing year of his career. rosberg retired eleven times and had 4 points, leaving the williams team with an all time low of 11 points in a single season; that was eight place, behind bmw sauber, honda, toyota and even red bull ferrari, at the time with coulthard and klien as drivers. 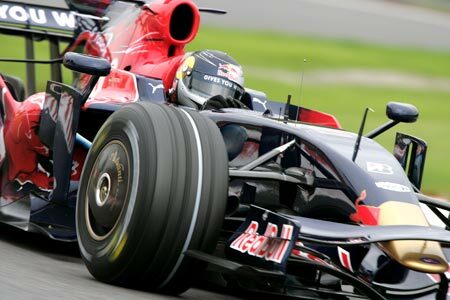 red bull racing had rise to fifth place in the f1 hierachy, and wanted to go higher in 2008. webber had a good start to the year, finishing in the points in six out of the first eight races and getting his tally up to 18 points before the middle of the season. coulthard had finished on the podium once in these races (which webber hadn’t managed), but that was his only point finish, so he only had a third of his opponent’s points at the time. things seemed to be going well for webber. but the second half of that season was to become pretty humiliating. webber only managed 3 additional points in the last 10 races, still one more than his british team mate. but the tragic in it was the performance of the daughter team toro rosso; destined to be a true second team with theoretically second hand material and a much smaller budget, the frenchman bourdais scored two points and finished in front of webber three times. 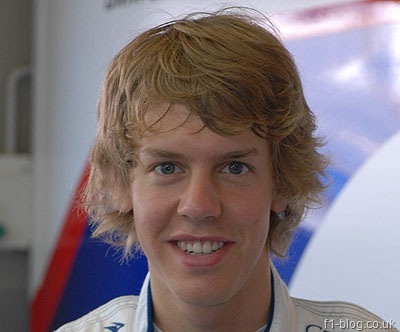 much worse, though, was the performance of young german sebastian vettel. even without his incredible victory in monza, vettel scored 20 points in those 10 races – and with he victory, a whopping 30, ten times as many as mark webber’s! as vettel accepted red bull’s offer to move up to the main team in replacement of the retiring coulthard, the f1 world was asking itself if that wasn’t a major downstep for the german. and webber knew: here comes someone younger than me, praised by f1 boss ecclestone himself, and destined to be the future of the team. and what seemed worse: he seemed to be a better driver. that would be a first for webber, who had been miles ahead of yoon and pizzonia, and slightly, rosberg and coulthard. only heidfeld was at the same level or slightly above him. but vettel could be a problem. to be a number two driver anywhere is a career breaker. at least the kind of career that looks for victories and world championships. webber’s fears came true. although he was glad that red bull went from seventh to second best car of the season in one year, his first two victories and fourth place finish in the world championship were personal highlights, for sure. after all, when the won the german grand prix in july last year, he was almost 33 years old. but vettel outshone him in what was supposed to be his moment, in this 8th season of f1 circus. 4 wins, best man of the second half and elected the best driver of the year (instead of world champion jenson button), vettel was the man of the season for red bull and for most f1 specialists. and the defeats in qualifying, once webber’s domain, were normal. webber ended the season with few mistakes and 69.5 points, vettel ended it with more mistakes and still 84 points. and he would enter the year 2010 as one of the main contenders for the crown. 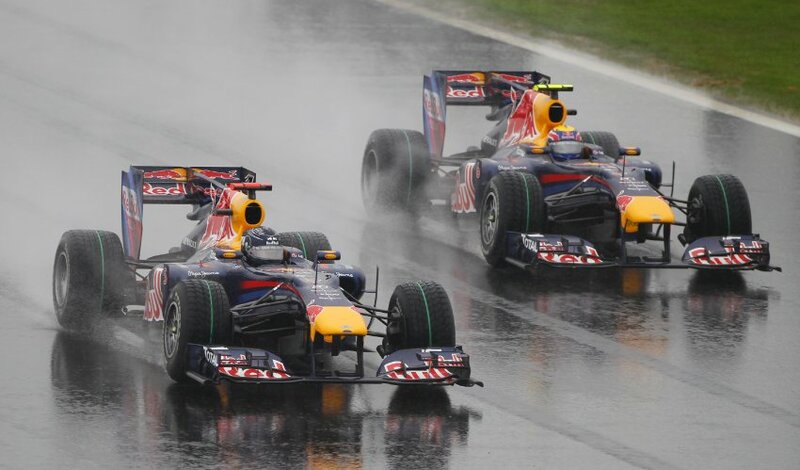 the irony is that vettel has been faster than webber most of the year, and will probably be on sunday, again. still, webber depends on his enemy in the team to be world champ. even if the aussie manages to win the race on his own merit coming weekend, he needs vettel to be second, in front of alonso (who is driving the second best car, currently). 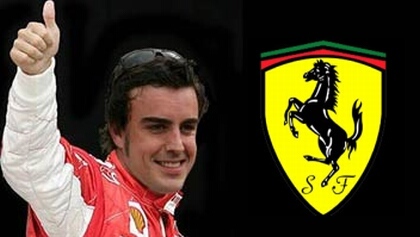 if vettel where to finish third or below, alonso’s second place would guarentee the spaniard’s title. and there’s still the more likely option of vettel having to hand webber the world title in the last round, which would be gentlemanlike, but still pretty humiliating. even for an underdog world champion. will it be this time, mark? now or never! 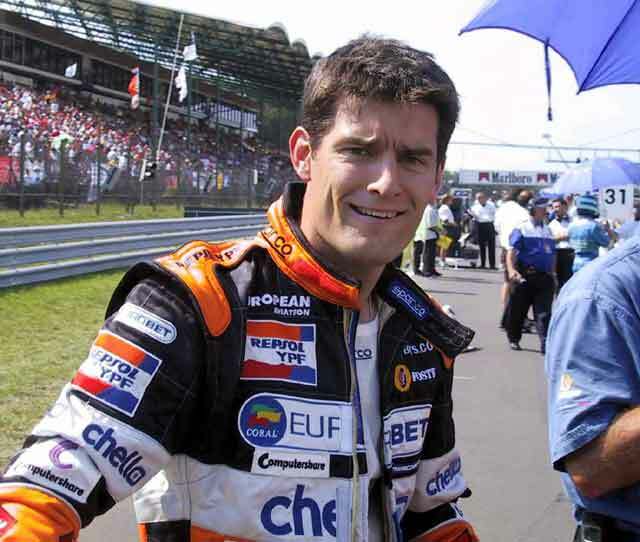 webber came into formula one replacing fernando alonso after his successful rookie season at minardi. alonso got webber’s job of testing the benetton. now, alonso has two world titles, both for benetton, and is close to the third. irony wherever you look in the small world of formula one.